Motion graphics now fill ever-larger non-standard aspect ratio video walls and interactive touch screens, while video displays integrated within your anchor desk create visually focused architectural set pieces (see example below). "Filling" is the key word. ChyronHego leads the way in sizing and driving graphics to these odd-sized on-set displays, and we continue to innovate and offer our customers a variety of studio monitor solutions to help you take optimal advantage of each and every pixel. ChyronHego’s Display Matrix is one of these options. Available across our LyricX, PRIME, and CAMIO graphics solutions on the HX and MX platforms, the Display Matrix option greatly expands your producer’s storytelling capability, while your in-studio anchors and reporters inform and educate viewers with data-driven graphics via interactive touchscreen. 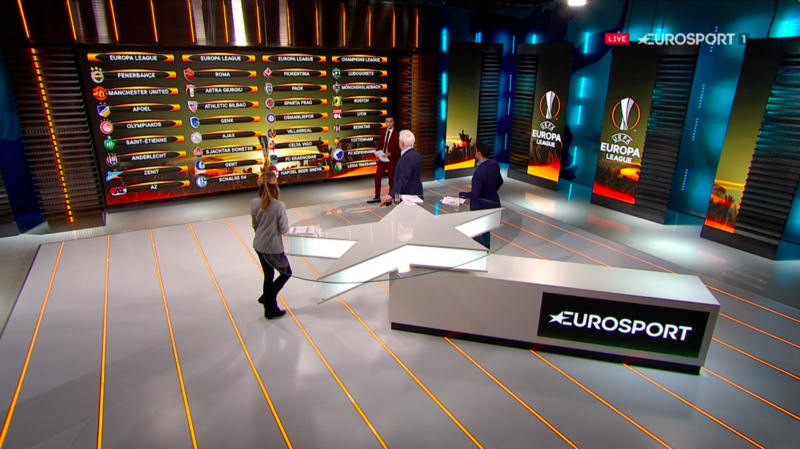 ChyronHego’s studio monitor solutions make this possible with the same ChyronHego graphics system you already have in place, with the same familiar design and playout workflow you currently use, and with no additional expertise required. For news or sports producers using CAMIO and LUCI, driving graphics to a monitor wall– seamless or not – or other studio display is as simple as placing the graphic within the rundown. A single LyricX or PRIME channel can feed multiple individual monitors or span monitors in a video wall configuration. The Display Matrix option does all of the work. With all of this in mind, it’s important to realize that your live production graphics no longer need to be reserved for the ubiquitous OTS and lower third. ChyronHego has the studio monitor solution you need to elevate your station's branding and storytelling to an all-new level. Drop us a line to learn more.